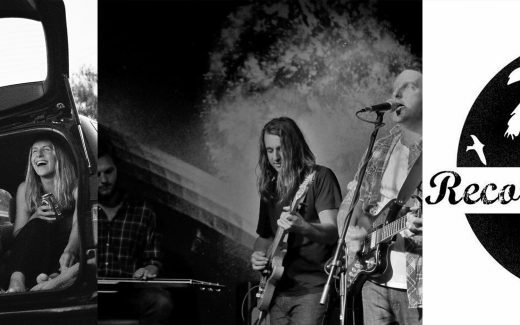 Terrible Signal’s self-titled debut album is a collection of jangly sunshine-pop gems that plays like a lost classic from 1980’s Australia, and our buddies over at Dusky Tracks have been kind enough to give Trouble Juice an exclusive listen. 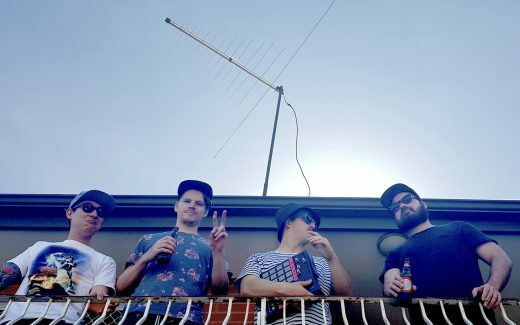 Melbourne space-rockers Laedj have treated us to a premiere of their new live clip for ‘Heard from Space’, shot in 360º to match their spacey out-of-this-world sounds. 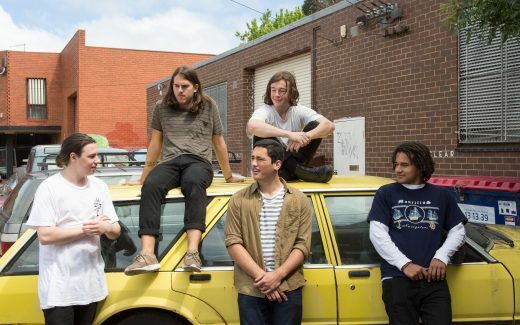 Melbourne alt-rock group Franjapan’s debut single ‘How Was Your Night’ is a summery slice of indie pop that could perfectly soundtrack your next big night out. 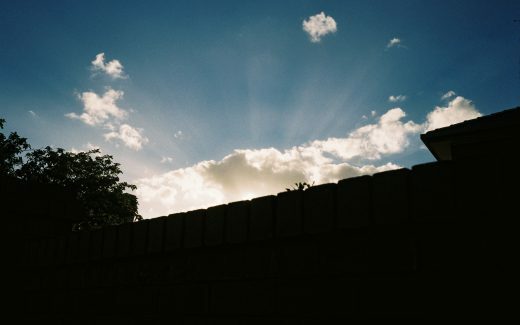 Born and raised in Melbourne photographer Wilhelm Philipp, who’s currently at just 20 years of age, already boasts an extensive client list and the distinct, fluid visual style to match. We had a talk about how he’s gotten there and what’s next. 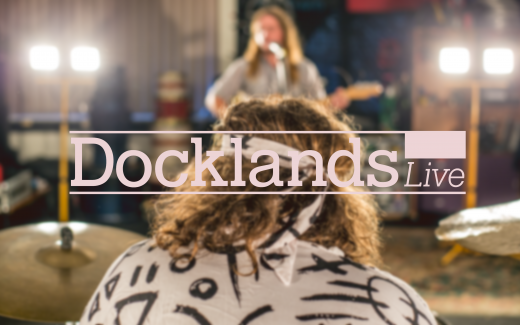 Working under the idea that ‘music was made to be performed’, Docklands Live are an up and coming live music performance channel, catching some of Australia’s best local talent on film. TJ met with the Docklands Live crew in their waterside studio to find out what was going on. Barren wasteland, beer on tap, bloody chaos! 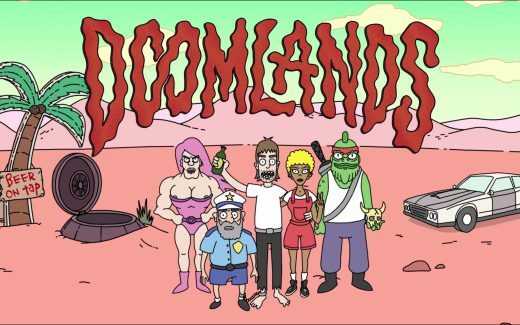 TJ chat with the creators of new animated comedy Doomlands, ahead of their pilot episode premiere at the Tote. 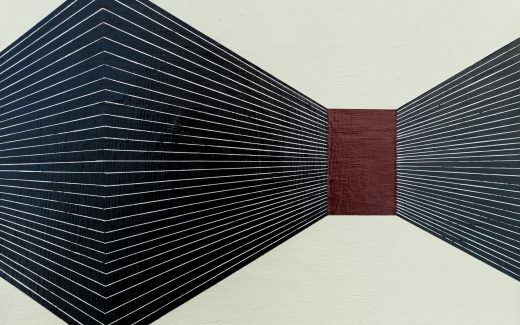 Hailing from the sleepy surf coast town of Aireys Inlet, Kasper Raglus specialises in emotively abstract visual art, forging earthy tones and textures with refined geometric forms. Speed dating this week with Hotel Fifteen Love, Grouse Jacket and Big Words. 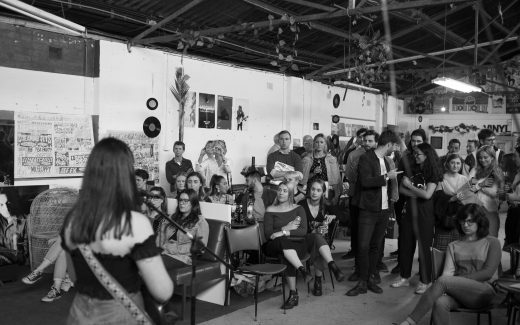 On Saturday October 24th, Trouble Juice hosted a special launch show at Brunswick’s Record Paradise to celebrate the first release from Trouble Juice Records. RAT!hammock’s debut EP ‘Pam’ is a cohesive collection of lo-fi pop tunes, full with jangling guitars, 90’s inspired weirdness and poignantly unconventional lyrics. 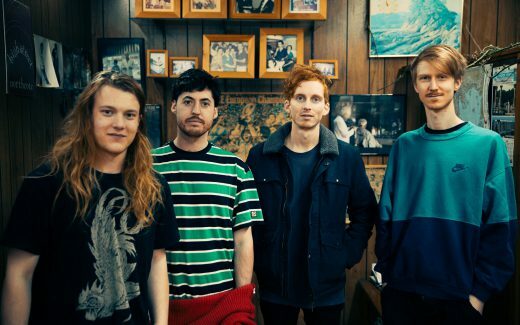 Trouble Juice caught up with frontman Jackson Phelan to find out what goes on across the EP’s four tracks. 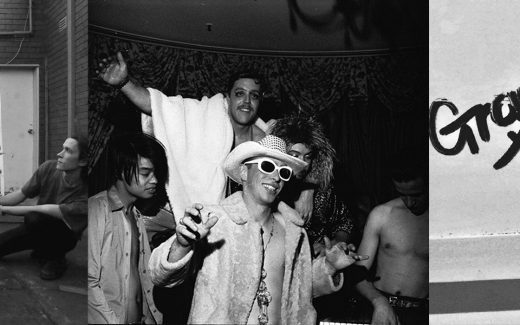 Speed dating this week with Bad Bangs, Slim Pickins and Paul from Record Paradise. 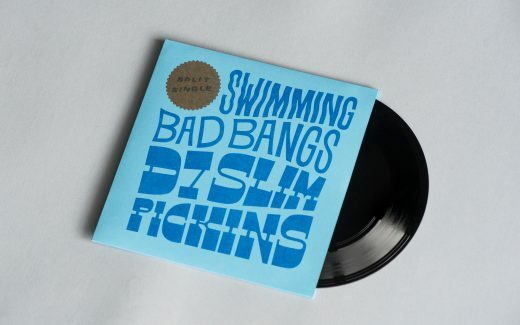 Trouble Juice Records are really excited to finally put out our inaugural release – a split 7” single between two of our favourite local bands, Bad Bangs and Slim Pickins.